The progestogen-only pill (the mini-pill) is taken every single day without any breaks. It contains a hormone which is very similar to one of women's own hormones. It needs to be taken at the same time every day. Many women are on the POP for its benefits, even if they don't need it for contraception. The Progestogen only contraceptive pill (POP), sometimes called the “mini pill” contains a hormone called progestogen. This is similar to one of the hormones women produce in their ovaries. Pills are taken at the same time every day continuously, 365 days a year – without a break. The mini pill is quite short acting, so needs to be taken at roughly the same time every day. How effective is the POP? 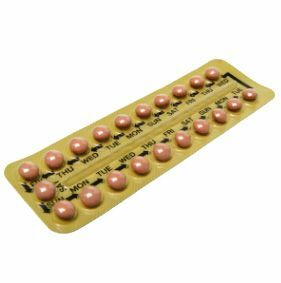 If the pill is taken at the right time without missing any, no episodes of vomiting or diarrhoea, no other medications that could make the pill less effective, it is more than 99% effective – meaning that out of 100 women taking the pill, less than 1 will have an unintended pregnancy per year. However, allowing for the ups and downs of life – the average user can expect it to be around 92% effective – meaning that out of 100 women taking the pill around 8 will have an unintended pregnancy per year.